It’s easy to understand that bad customer service is bad for business, however, the impact of bad customer service is often not considered during a busy day at the office. This is where research can help you truly understand how bad customer service is impacting your business. Research shows that while only 4% of dissatisfied customers might share their experience with a business, 96% may not voice their complaints, and 91% may never buy from the same business ever again. But it doesn’t stop there. Bad customer service not only eats into profits as more people become unwilling to transact with a business that can’t deliver on its promises, but the news of bad customer service can also spread like wildfire. According to American Express, consumers are two times more likely to share a bad customer service experience than they are to share a positive experience. Even more unsettling is that as many as 13% of unhappy customers share their bad customer experiences with up to 20 people, says the White House Office of Consumer Affairs. With statistics as sobering as these, figuring out how to improve customer service levels in your business may seem like a tall order. Before we give you our take on how to improve customer service in your company, we need to look at what good customer service is and why positive customer experiences are important to your business. While that sounds like a simple question, there are a lot of ideas around today about what good customer service looks and feels like. Of all the ideas, the simplest we’ve found to resonate with us, and could with you, comes from Zendesk.com. Zendesk decided to figure out what good customer service was. To do this, they chose to run a survey and asked their audience three questions. We’ve compiled the answers into the paragraph below. As a definition, this one works for us and speaks to all the positive impact that good customer service experiences can have on a business. For example, Glance Networks, Inc reports that 70% of customers that have issues resolved in their favor say that they will return to purchase from that company again, and as more customers choose to stick with a company, profits can increase by as much as 125%. With a fairly good idea what bad and good customer service can do to your company’s bottom line, let’s take a look at how you can focus on creating more delightful customer service experiences. Making the move to enhance all three of these areas requires conscious endeavour. 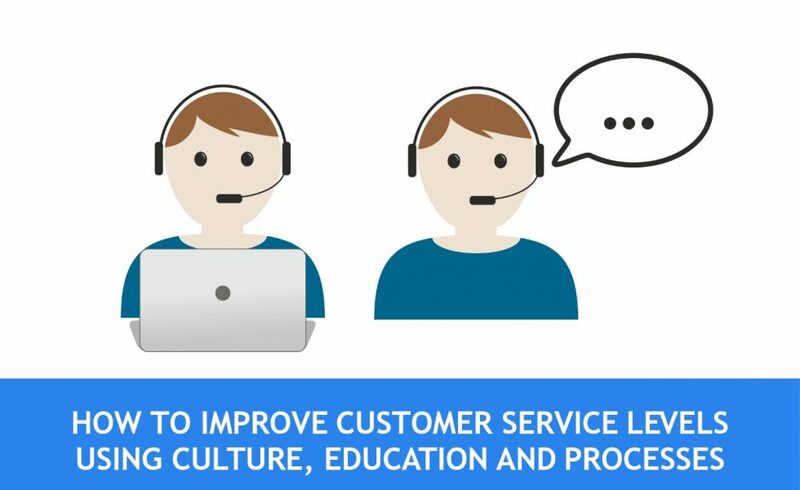 To help you get a head start, here are a few of our recommendations on how to approach using culture, education and processes to elevate your customer service levels. Company culture always seems like an iffy thing to wrap one’s head around. This is because company culture is impacted by many different elements (compensation, leadership style, nature of the business and industry that you are in) and so as a factor that can influence change, it feels like results require a long period of time to manifest. Nonetheless, as a business leader, your company culture should be one of things that is constantly on your radar. When you think of managing it, imagine yourself as a human barometer that can easily tell when your team is living by your organisation’s ethos or when they have lost their way. When using culture as a tool for improving your business’ customer service levels, your main goal should be to focus on creating a positive environment for your team. You want to make sure that they are happy. Share more information on how the business is performing. Insight into company performance helps employees see the impact they have on the business and breeds a greater sense of purpose. Practice an open-door policy. Open door policies are often advertised but rarely actioned. Practice your open-door policy by starting conversations with team members on the fly. This shows that you are open to discussing challenges that they are going through, without them having to schedule a time to chat. Challenge your team to come up with solutions. You can never know of all the issues that your business is experiencing, nor have the answers to them immediately. One way to introduce a culture of positivity, and employee engagement, is to challenge staff to bring challenges and potential solutions to the table. This way, staff derive a sense of ownership in the business’ success and are enabled to share creative ways to tackle problems. An important note on driving cultural change within your business: Once you start to create a more positive and enthusiastic culture, whatever you do, do not give up. Keep moving. It may not be easy at times because personal development happens differently from one person to another, so reinforcement through consistent and constant action is how you will champion change. Unlike culture, using education to enhance your customer service levels can produce quicker results. As your employees learn the correct ways to handle customer challenges on the job, their ability to be more effective is enhanced, too. Look for where your business seems to be underperforming. If your customer service team seems to receive a regular stream of complaints about unfulfilled service level agreement claims made by salespeople, explore what your salespeople are promising. Approach training with a helpful attitude. No-one wants to be chastised for not knowing how to perform a task or for not having a certain bit of information. Once you’ve isolated the reason for the poor performance as an educational issue, get your employees together and share the value behind filling the knowledge gaps and how the learning process will result in a more rewarding outcome for the individual and business. Create line of sight for employees. As mentioned in point number two, sharing how a lack of education can impact the business is important, but it’s half of the approach. You need to share the value behind your team becoming a more educated and effective unit. Business is changing every day. Technology alone is transforming the ways in which we market products and sell to customers. With all this change, it’s inevitable that everyday processes change. Think of the end goal and reverse engineer. When it comes to customer service, you’re looking to delight customers as fast as possible. Often, that means that your team will need to complete a certain number of tasks before your customer is delighted. Reverse engineering the ideal outcome will help you determine which of your processes need to be reviewed and what needs to happen between the customer making contact and the customer leaving feeling delighted. Plan effectively and account for impact on your entire business and not just on individual silos. Often, business units make changes to processes and neglect the impact that those changes can have on the rest of the business. To get around this, as you reverse engineer the ideal customer experience, include the interactions that need to take place, both directly with the customer and internally between your business units. Doing so will help you catch any potential conflict situations before any damage is done. Invite stakeholders from other business units to the table to get their input on how to improve customer service levels and to understand how both your and their processes align. This approach will create a stronger sense of camaraderie between business units and can expedite results. Review your plan. Once you have a plan that you’d like to put to work, take the time to review it and pass it along to all concerned parties for their input. Having more eyes on your plan will help you spot any inconsistencies or areas for potential conflict with existing processes. Educate. This may be obvious, but can’t be stressed enough. You must educate your team on the change in process as much as possible. Documenting the new process, distributing it in downloadable file format and storing it in a place where everyone can easily find it will also make it easier for staff adoption. Test and iterate. Most organisational process changes are met with resistance. This is because they’re often not as efficient in practice as they were intended to be when designed. Testing and iterating is therefore an important step towards the refinement of all new processes. Keep an open-door policy. Your employees are your frontline and they need to be able to provide feedback on how the new process impacts customers and their day-to-day productivity. Creating an environment where open feedback is encouraged will help you refine your processes and boost employee engagement levels. As you look at how to improve customer service levels within your organisation, remember that there will be some challenges. New ideas may be met with resistance and old habits may be hard set, however, remember that often anything worth doing is not easy. The good news is that as your business gradually begins to enhance its levels of customer service, new standards will begin to take the place of older, less beneficial ones. Are you looking for a way to drive employee performance? 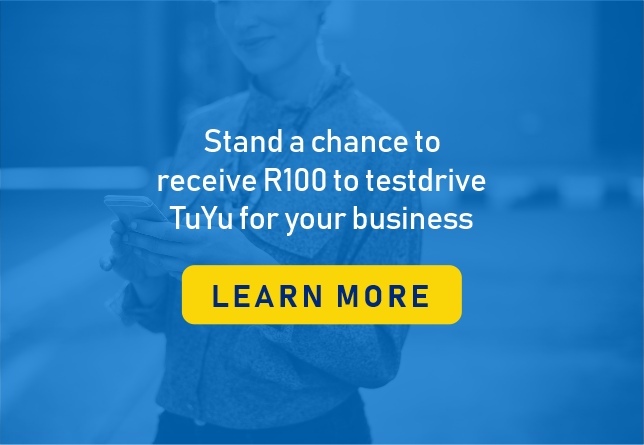 TuYu helps businesses increase sales, productivity and influence employee behaviour using instant, cost effective mobile rewards. 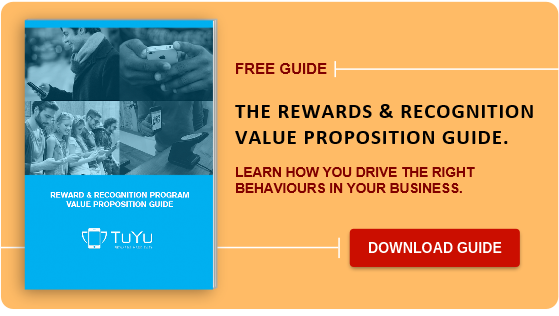 Learn more by downloading our Rewards and Recognition Value Proposition Guide.